Optimising hardware for specific purposes has delivered tangible results in the crime scene and forensic environment, delivering genuine efficiencies to police forces around the world. Our continuing attention to new equipment and development promises to deliver new innovations for use in new markets. AGX developed the LIFT-SP systems to meet the needs of forensic professionals. Our highly regarded systems are the "next generation" of products and offer both improved software and hardware. The advanced digital comparator and now with calibrated input and output, including a 600 dpi printing option, move the systems to the next level in productivity and quality. Along with other improvements both small and large, AGX LIFT-SP systems are designed to provide outstanding results. Capture, enhance and analyse forensic images including fingerprint and footwear images. Developed in accordance with best practice to maintain the quality and traceability of images. Unique features for examination and note taking. Designed with and used by police forces in the UK for the handling of digital forensic images Lift-SP4allows forensic images to be captured, enhanced and examined efficiently. Based on a long-standing relationship with various police forces, and an understanding of the processes involved. A proven ability for handling forensic images, used to process thousands of images every month. Inspect and compare images on screen in their best quality using Lift-SP4’s unique capabilities for displaying and handling high resolution images. Zoom, rotate, and move images in an instant using a mouse or touch screen PC, monitor or tablet. Automatically or manually adjust the whole image, or areas within the image with a set of easy to use tools. Processing changes are recorded and permanently associated with the image to maintain a constant and visible audit trail. Scale and convert images for compatibility with Ident 1. Acquire images directly into the software from a range of digital cameras and scanners at scenes of crime or in the lab. View live images and batch process. Automatically generate backup copies, burn directly to CD and print images to scale. Prepare evidence for court by marking up images to prepare for on screen presentation or printing. 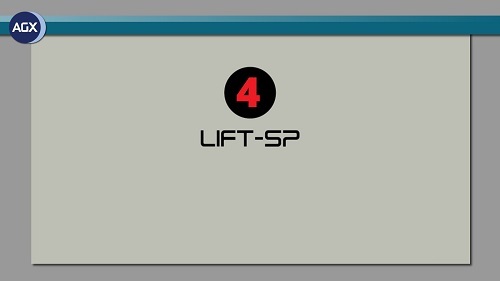 Combine Lift-SP4with automated image submission and an image management database to enable use of the Management Dashboard. Monitor activity levels and submission statuses, view current or historical data, generate reports, and enhance traceability with this customisable management tool. Office Integration : Images may be viewed and manipulated with mark up from within Word. Built to be Customised : Customisable user interface, data entry forms, point classifications, and acquisition. Touch Capability : True multi-touch enabled for fluid and intuitive image manipulation and stylus compatible. Data Source Integration : Optionally integrate with an existing image database or digital asset management system. Enterprise Ready : Industry standard deployment and ongoing support for smooth installation and maintenance. Familiar Modern Design : A modern and flexible user interface designed to be familiar to most users.